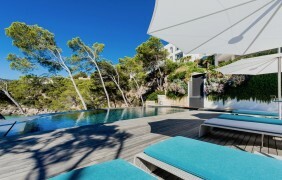 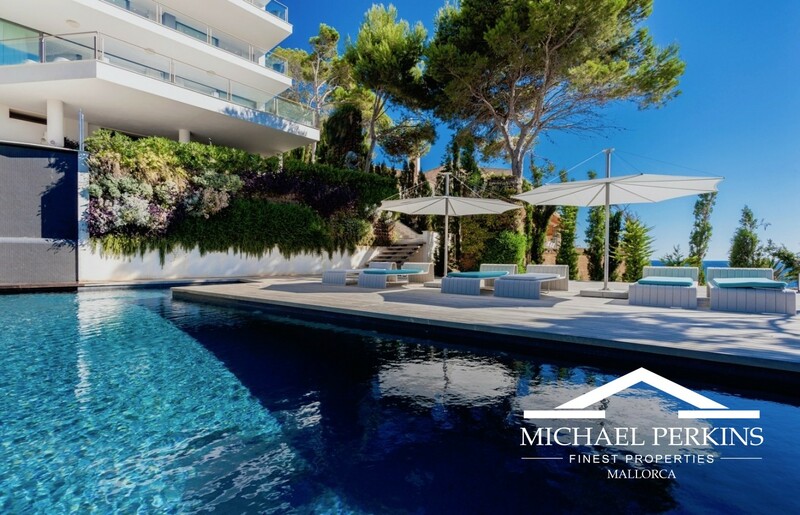 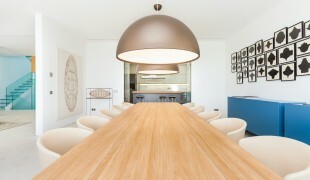 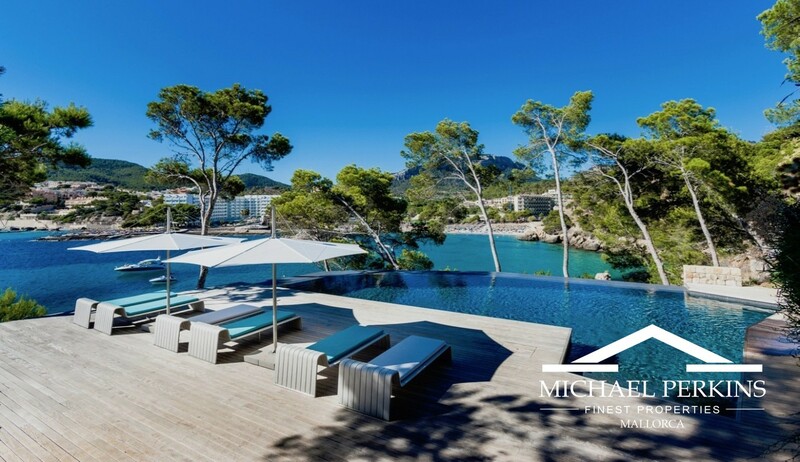 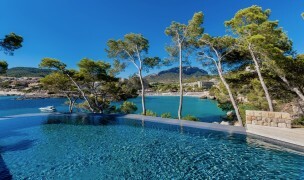 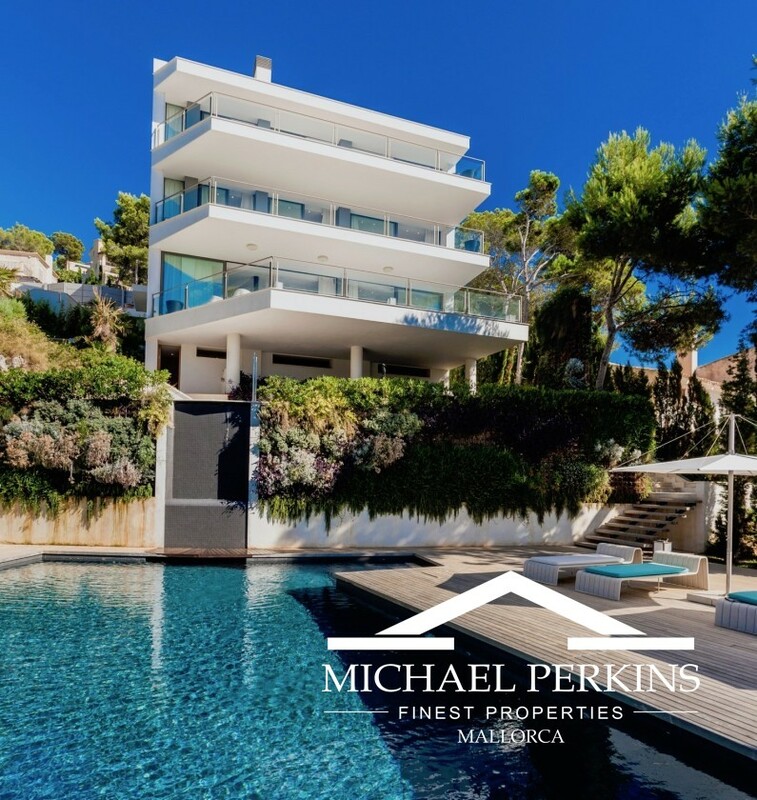 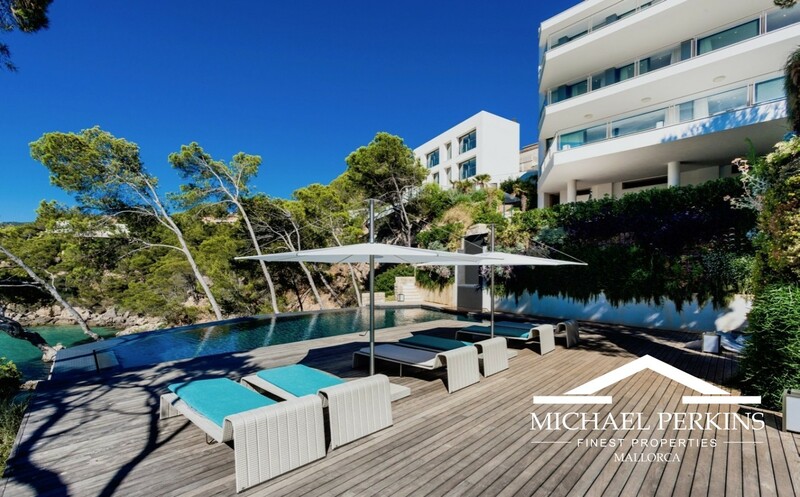 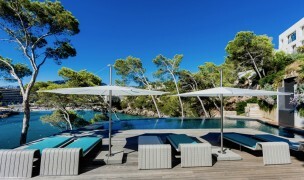 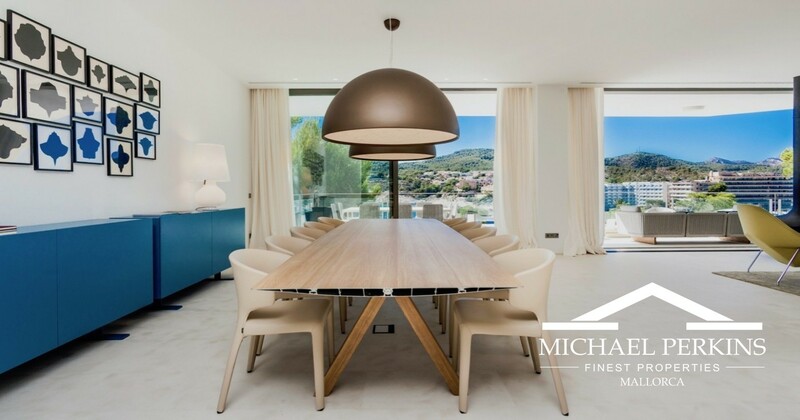 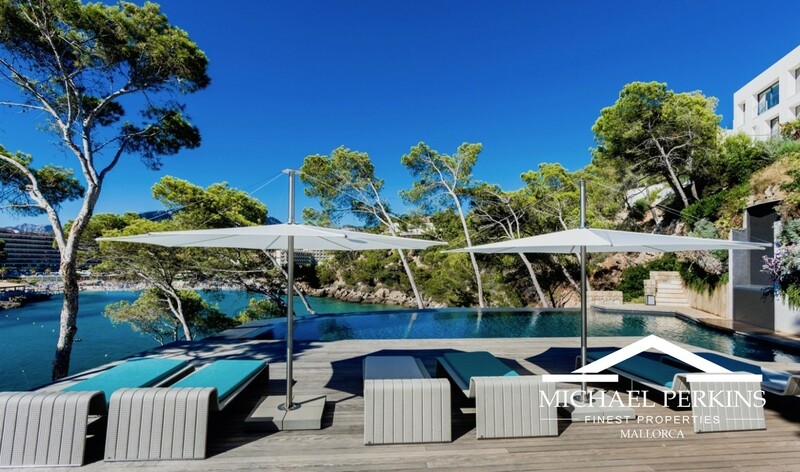 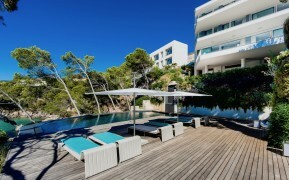 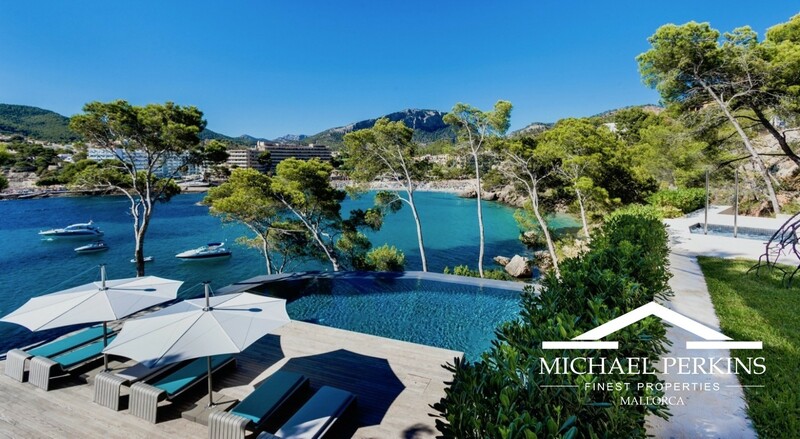 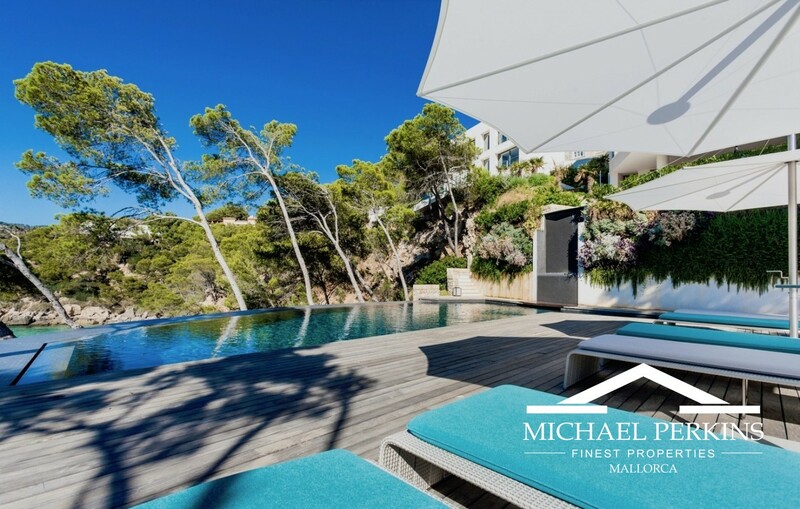 This new minimalistic styled villa is located right on the sea front in Camp de Mar, Andratx. 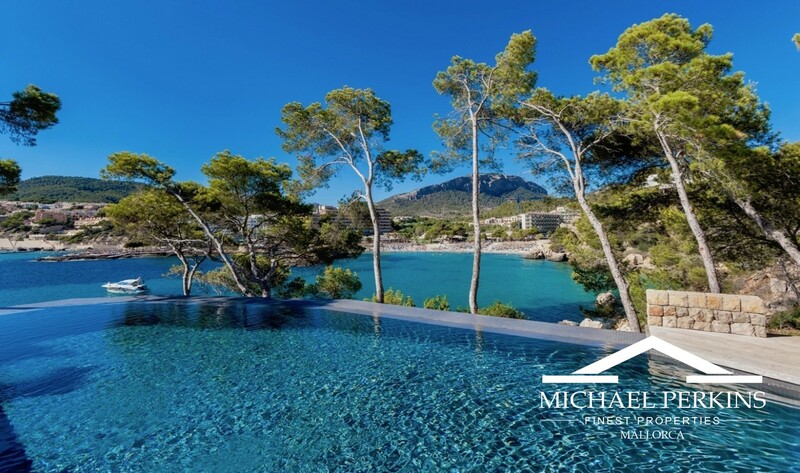 The estate consists of two properties, the main villa and a guest house plus a small two bedroom staff apartment. The luxurious main building comprises spacious light filled open plan living/dining spaces and a top quality fitted kitchen. 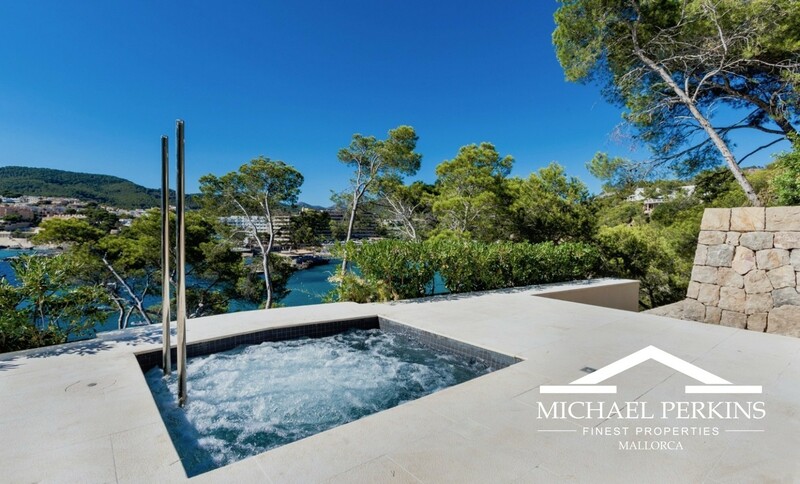 There are four ensuite bedrooms including a spectacular master suite occupying a whole floor with separate "his and hers" bathrooms, dressing room and large terrace. 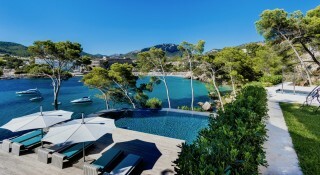 All rooms and a large roof terrace enjoy stunning sea views. 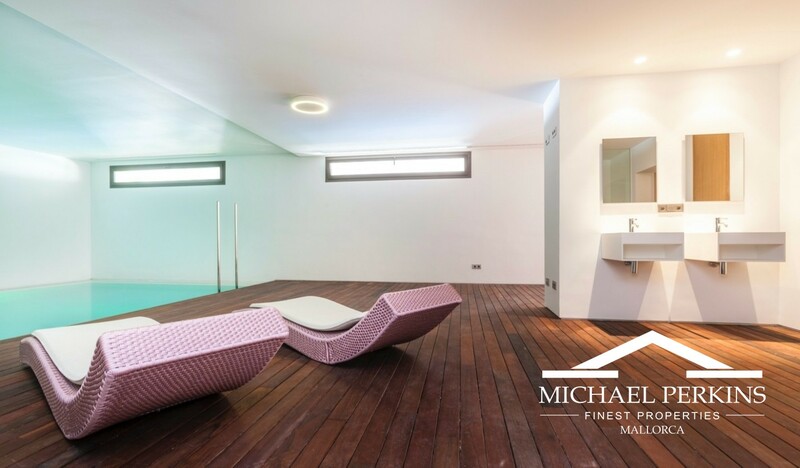 The basement contains an indoor pool and sauna. 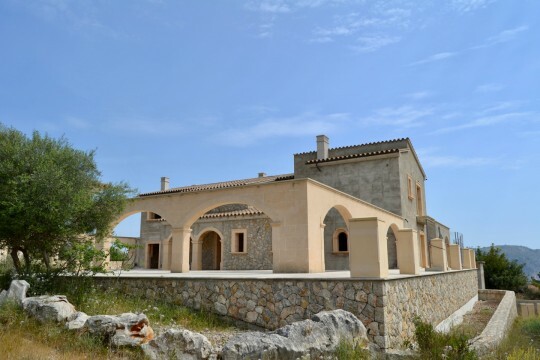 The guest house has three bedrooms and bathrooms, a living room and American style kitchen. 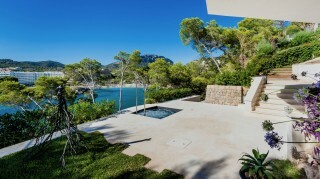 A beautifully landscaped garden surrounds an infinity swimming pool. 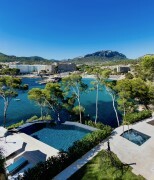 Plus a major asset to the property is the rare facility of direct sea access. 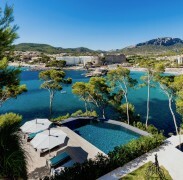 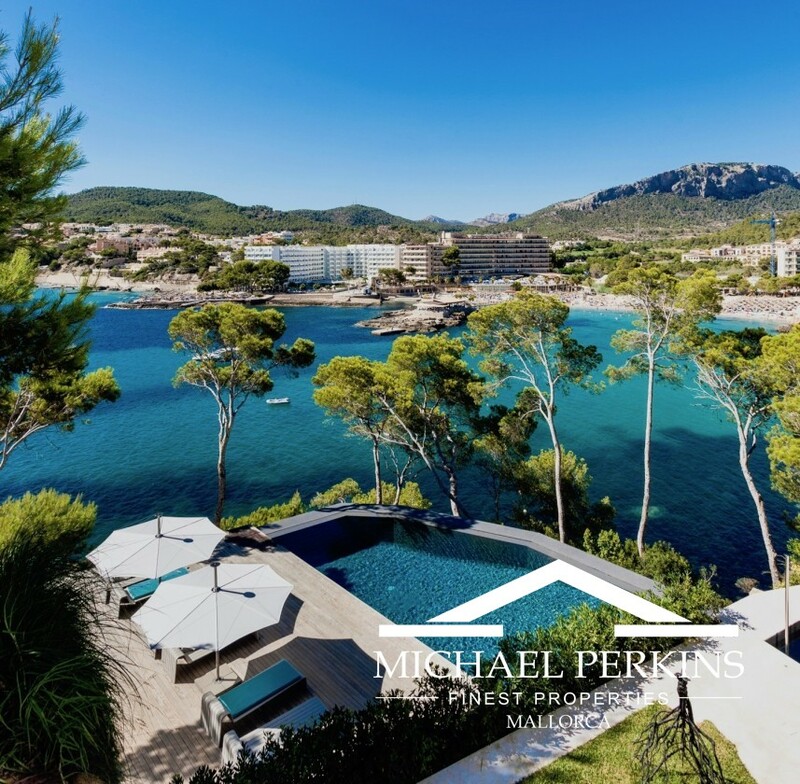 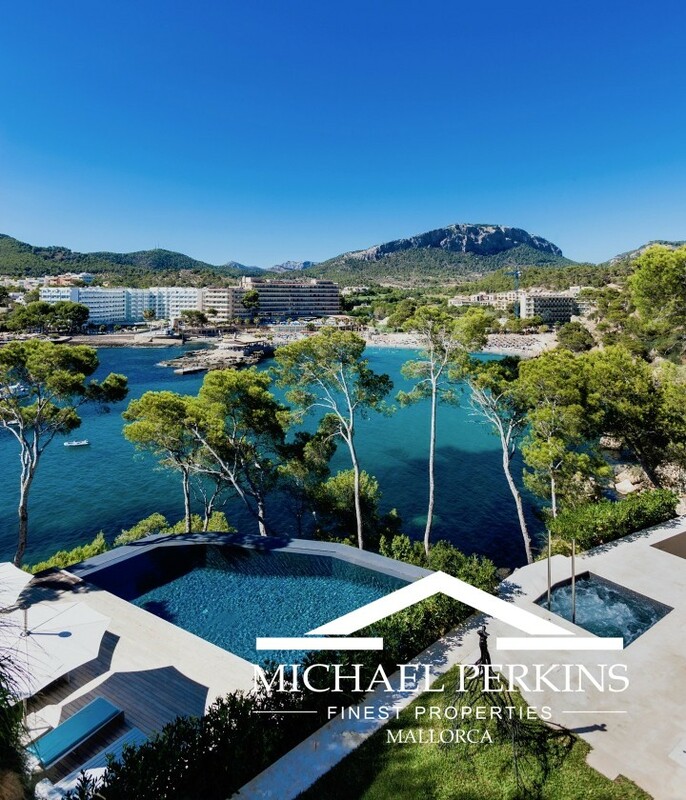 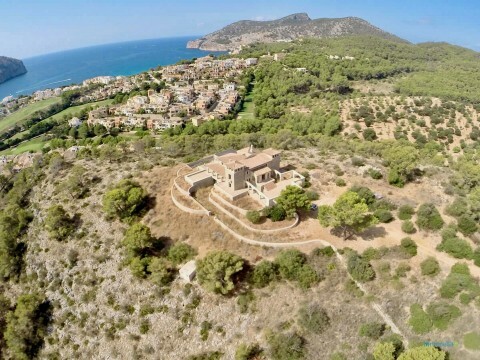 Thoughtfully designed and built with top quality materials this is a spectacular frontline property with exceptional sea views.